Why are all gourmets crazy about Japanese premium beef? This question is no longer posed once one has tasted a piece of the strong red Wagyu meat. The exquisite juiciness melts the meat like butter on the tongue and yields an incomparably nutty and robust flavour and the unique Wagyu aroma. Where does this come from? Wagyus have exceedingly soft meat whose flavour derives from its unique marbling. In addition to this, Wagyu meat is nutrient-rich and healthy. It is low in cholesterol and contains up to 30% more unsaturated fatty acids than meat from other cattle breeds. Due to the high proportion of Omega-3 fatty acids, Wagyu meat contributes to a healthy diet. The result: an incomparable and healthy taste experience. 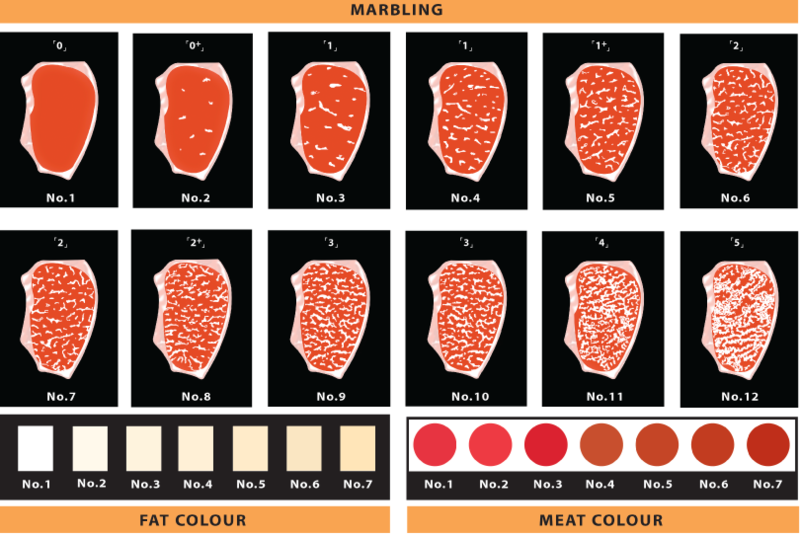 Meat Evaluation: The meat quality scores are determined in terms of beef marbling, meat colour and brightness, firmness and texture of meat, colour, lustre and quality of fat. The Mono-unsaturated Fatty Acid to Saturated Fatty Acid ratio runs up to 33% higher in Wagyu beef than other Beef. Wagyu beef is an effective source of Omega 3 (Linolenic Acid) and has up to 30% more Omega 6 (Linoleic Acid) than other cattle. pressure. Omega 6 has been shown to prevent numerous kinds of cancers while also reducing Low Density Lipoprotein (bad cholesterol) levels and triglycerides. 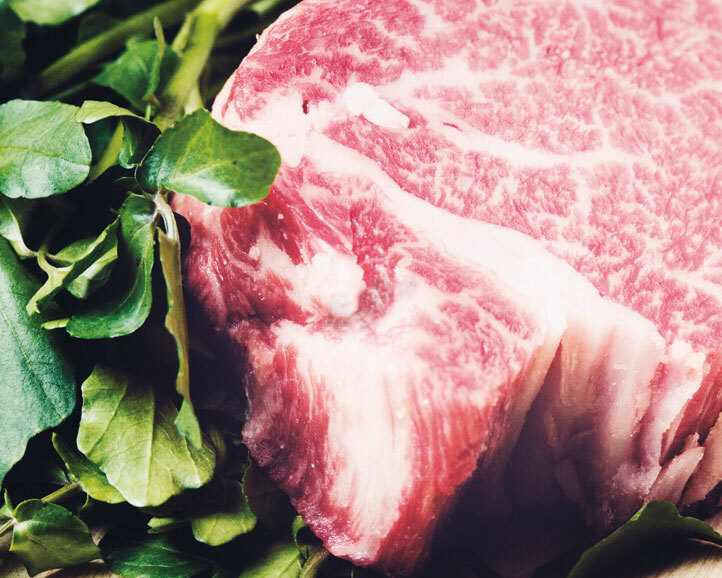 Wagyu beef is a fantastic source of Vitamin B, iron and essential complete amino acids.